Ongoing Learning Model for Certification "MOC 2.0"
The call for more meaningful MOC assessment and education has reached a tipping point, with physicians across specialties demanding change to the process. ABMS specialty boards are listening, with important changes regarding recertification being implemented by several boards. At the heart of the criticism is that an infrequent, high-stakes MOC exam is not the most effective way to help diplomates learn and retain knowledge, and that it is critical that MOC present physicians with meaningful and manageable learning opportunities and assessment. A longitudinal, ongoing process would provide more educational value than what one would get by merely studying for, taking, and passing an every 10-year exam. As was announced in 2016’s Issue #2 of the ABVLMNews, the ABVLM Board of Directors has decided to not require or offer a 10-year recertification exam. 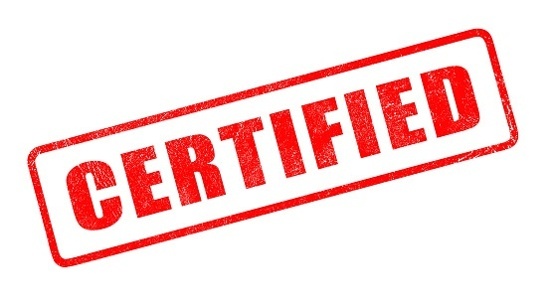 Like other certifying boards, such as Anesthesiology and Radiology, the ABVLM is adopting an ongoing educational process for diplomates to maintain their certification past their 10-year anniversary in lieu of a pass/fail exam. We are calling this process “MOC 2.0”. Here is a link to a 5-minute video created by the American Board of Anesthesiology explaining a bit about the rationale of this type of program: https://vimeo.com/200362064. Starting in early 2018, ABVLM diplomates will receive periodic emails with a single, multiple-choice question on topics related to venous & lymphatic medicine (VLM). Diplomates will answer the question and receive immediate feedback (grading) on their answer, which will include both a rationale for the correct answer and links to additional resources. Diplomates will still be required to participate in the “regular” Maintenance of Certification (MOC) process which has an educational component of 30 VLM CME hours every three years, plus an annual MOC Fee. The MOC 2.0 process replaces the 10-year exam, formerly common for medical certification boards. This process is in active development, and we intend to have a small pilot program running in late 2017 to beta test the software and item delivery mechanisms. We anticipate starting the MOC 2.0 program in early-2018 for all diplomates. To recap: There will be no 4-hour, every 10-year recertification exam offered or required by the ABVLM. You will not face potential failure on an exam and loss of diplomate status, nor will you incur the $2,100 exam fee. The ABVLM still has the same overhead and costs, and in fact, there are additional costs for the new MOC 2.0 program delivery. Therefore, the board voted to increase the annual MOC fee in 2018 by $200 (which is slightly less than the amortized $2,100 exam fee over 10 years). Starting in 2018, the annual MOC fee will be $395/year. Be watching for a letter mailed to your Preferred Mailing Address which will verify your email address, as the MOC 2.0 process will be based entirely on email and internet-based services. Participation in the program is mandatory in order to maintain your certification. At this time, pass/fail will only be determined by your participation. We believe that diplomates will find the ongoing learning program to be a much more effective way to integrate assessment and education, and it should prove more relevant to day-to-day practice and improving patient care. The ABVLM’s Fellowship Development Committee has been actively researching the medical education community to build interest in starting venous and lymphatic medicine (VLM) fellowships in the US and Canada. Equally important, the ABVLM’s Accreditation & Oversight Committee has also been actively working to accredit new applications to the board for one-year VLM fellowships. Academic fellowships are critical in the advancement of specialty and ultimately achieving specialty recognition. In this short article linked here, ABVLM Board President Dr. Steven Zimmet reports on where we are currently, where we’re going, and the benefits associated with VLM Fellowships. There will be several hundred of our now nearly 800 certified ABVLM diplomates attending the American College of Phlebology’s 31st Annual Congress in Austin, TX, November 2-5, 2017. Registration and lodging information for that educational meeting are at: www.ACPCongress.org. Certification in venous & lymphatic medicine is increasingly important to patients and the medical community at large. Recognizing this, the ACP Congress organizers have devoted a 30-minute segment of the program to the ABVLM! To that end, if you are attending the ACP Congress, please try to attend this session if your schedule allows. Nothing else is programmed at this time. ABVLM Update & Diplomate Recognition – Saturday, November 4 at 10:05am-10:35am, Lonestar Ballroom D/E (Plenary Session) immediately following the ACP-AVF Micro Symposium on Medical Ethics. Diplomates will be invited to stand in place and be recognized by the expected over 1,000 Congress attendees, as Board President Dr. Zimmet offers remarks about certification in venous and lymphatic medicine. The ABVLM Booth (#308) will be in the Exhibit Hall where you can get your ABVLM DIPLOMATE ribbon, as well as obtain answers to any questions regarding your current MOC status or the upcoming changes in the recertification process, now termed MOC 2.0. Please stop by, say “Hi” to Chris Freed, Executive Director, and also find your name on the Diplomate Wall of Recognition! Congratulations to the 40 candidates who passed the 2017 exam (89% pass rate). There are now 795 physicians who have passed the ABVLM Certification Exam since its inception in 2008. The ABVLM utilizes criterion-referenced testing rather than norm-referenced testing to determine passing scores. Criterion-referenced testing is based on the concept that candidates should be measured against the knowledge represented in each test question, while a norm-referenced test would indicate whether the test-taker did better or worse than other candidates. A criterion-referenced test is used to determine a candidate's level of knowledge in relation to a well-defined domain of content. Theoretically all test takers could pass (or fail) such an exam. Test equating methodologies are used such that a candidate would have an equal chance of passing, assuming their knowledge base is the same, regardless of the year they take the exam. All ABVLM exams undergo rigorous psychometric evaluation by Measurement, Inc. The 2017 exam consisted of 200 multiple-choice items. Following a detailed analysis of every item, 9 items were removed from scoring because of poor performance. The examination was then scored and analyzed. The 2017 examination had a candidate separation reliability of 0.93, which suggests it sufficiently distinguished among candidate abilities. Please check your own ABVLM Diplomate listing in the Online Physician Lookup database. If there are changes, you can make them yourself! Just login as an ABVLM Diplomate. Need help? Contact the HQ Office. Copyright © 2017 - The American Board of Venous & Lymphatic Medicine. All rights reserved. Copyright © 2017 The American Board of Venous & Lymphatic Medicine, All rights reserved.